That’s right! It’s all free when you shop with the Cable Dahmer Group. Plus, the best part is that these perks never expire! WE’RE A DIFFERENT KIND OF CAR COMPANY! On pre-owned purchases you have 14 days to bring your vehicle back, with no questions asked, and exchange it for something different. Coaching – We will maintain a culture of trust and respect through daily training and development of all our team members. We’re here to help them achieve their personal as well as their professional goals. Process Loyal – We will become brilliant in the basics and commit to doing the ordinary things extraordinarily well. We are committed to becoming faithful in the little things, because in pursuit of perfection, we can expect to achieve excellence. Integrity – We do the right thing because it is the right thing to do. It isn’t what is cheap, easy, popular or convenient that guides us. We will do so without excuse and regardless of cost. Growth Mindset – We will develop our abilities through dedication and hard work thus creating a love of learning and resilience that is essential to all great accomplishments. Attitude – We will maintain an optimistic, solution-oriented and gracious approach. 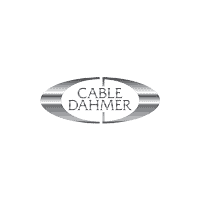 At Cable Dahmer, we have a wide range of customers, each one wanting something a little different. So to make things easier, we have a wide range of inventory to match. Can you believe some dealers only offer one type of inventory? We want everyone to drive away in the vehicle of his or her dreams, so we offer our customers a variety of vehicles to help make that happen. If you want the latest and greatest, our new inventory can provide you with a sparkling new ride. If you’re looking for something with proven reliability, a pre-owned might be a better choice. We even have certified pre-owned vehicles that have each gone through a rigorous inspection to ensure quality. You can also pick out a bargain vehicle and get an amazing price or a new vehicle at a used price with our Loanervilles. With such a huge selection of makes and models, you are sure to find something you’ll love. Stop by today and see for yourself! *On select models. Some restrictions may apply. See dealer for details. **Covers only scheduled oil changes with filter, tire rotations, and 27-point inspections, according to your vehicle’s recommended maintenance schedule for up to 2 years or 24,000 miles, whichever comes first. Does not include air filters. Maximum of four service events. See participating dealer for other restrictions and complete details. ***Available during your warranty period. See participating dealer for details. ^Whichever comes first. Vehicle exchange only. See dealer for details.